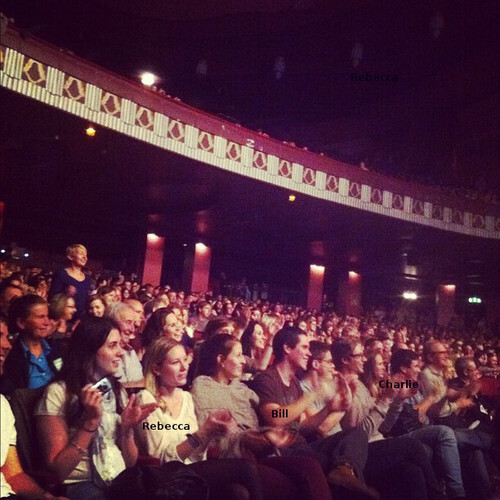 Rebecca, Bill and Charlie( daughter and sons of Hugh Laurie) in tamasha in London 02.07.2012. . Wallpaper and background images in the Hugh Laurie club tagged: hugh laurie actor 2012 appearence public concert let them talk son rebecca charlie bill. I put the names in the picture, if someone asks. I agree with you, I packed the caption.